In need of some new furniture? 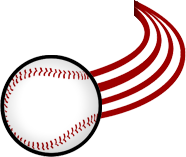 It’s happening…AGAIN! 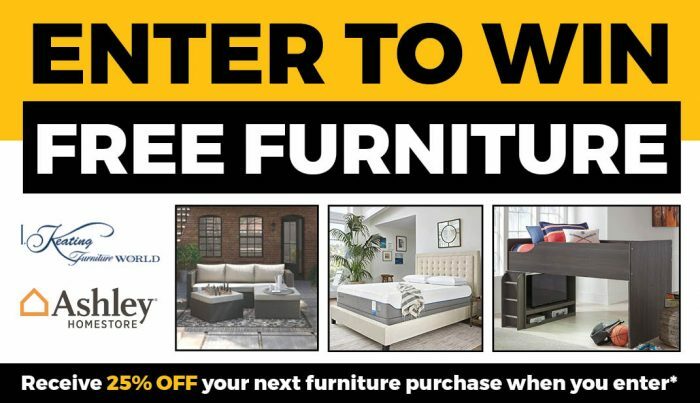 We’ve teamed up with I.Keating and Ashley Furniture to give you the chance to win FREE furniture. All we need you to do is visit I.Keating Furniture in the Kirkwood Mall and enter for your chance to win new furniture at the Customer Service counter! Can’t make it to the store? Don’t worry. You can enter by filling out the form below too. 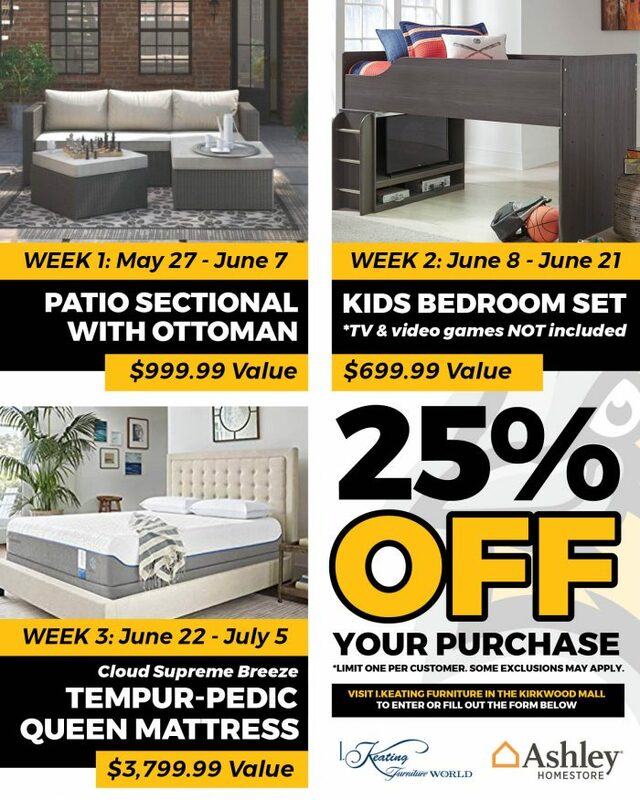 PLUS when you enter — I.Keating and Ashley Furniture are going to give you 25% off your next furniture purchase. * Now that’s what we call a deal! *Limit one per customer. Some exclusions may apply.